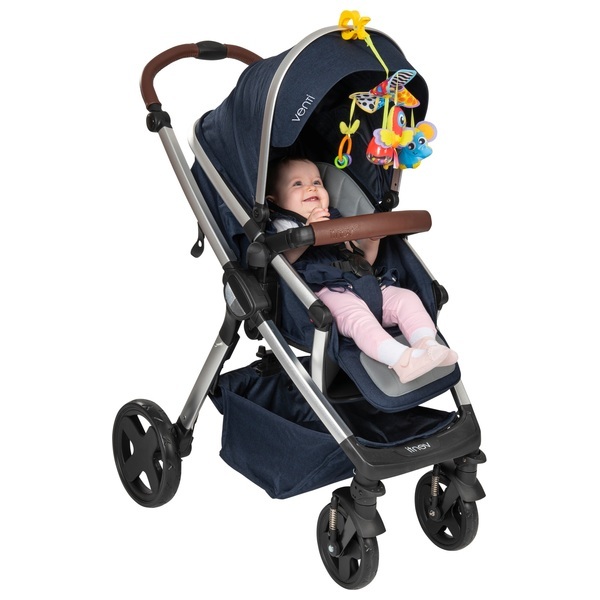 Playgro On the Go Stroller Mobile has lots of cute characters that will entertain your little one whilst out and about. Playgro On the Go Stroller Mobile has a dangly rattle ball to stimulate your baby's auditory senses. The fun and vibrant characters also enhance visual perception. Baby will love watching it gently spin and engage with the dangly rings and characters.